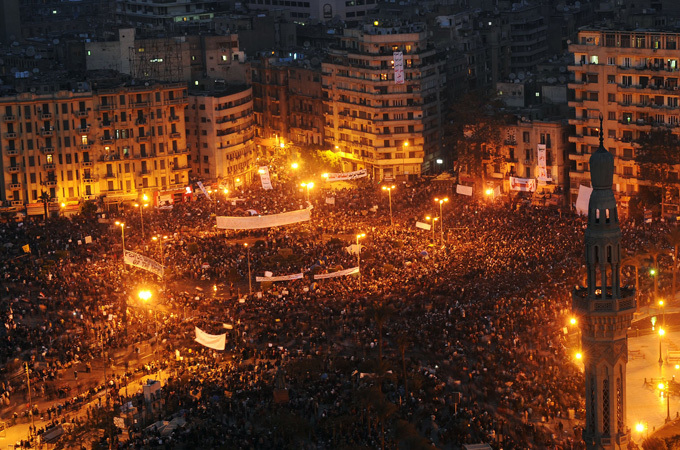 Has the Arab Spring failed? Is Europe conspicuously absent? On Wednesday 10 April 2013, the Spinelli Group organised a debate on the conclusions that could be drawn two years after the beginning of the Arab Spring. On this occasion, Néguib Chebbib, Leader of the Democratic Progressive Party (Tunisia) and Mahmud Gebril, Interim Prime Minister of Libya during the civil war and former chairman of the National Transition Council, were invited to share their views about what had been done and about what the expectations of the Arab countries were. The two speakers gave an emotional presentation of this historic development in the Arab world, and hopeful conclusions for the future. Has the Arab Spring failed? The unanimous answer is no. As Mr. Guebil underlined, revolutions are a first step but there is a need to look at the future. Indeed, the revolutions against the dictatorial regimes in Tunisia, Libya and Egypt have to be considered as the first part of a transitional period towards democracy, economic growth and freedom. “We are still in an introductory part”, continued the former Libyan Prime Minister. Additionally, Mr. Chebbib highlighted a key fact: revolution was led by the youth, which had a new ideology of the future. Unfortunately, this young generation “did not have any alternative to offer, leaving a big gap at the top of the State” (Mr. Chebbib). The expectations that nurtured the Arab Spring have not been reached. However, the two speakers insisted on the necessity to keep intact all the ambitions. Concerning the worries related to the rise of fundamentalist Islamists, two different but very interesting views were shared. On the one hand, Mr. Chebbib regarded them as an unavoidable political movement, recalling that one and a half year after the Tunisian elections these groups have lost most of their popularity. On the other hand, Mr. Gebril considered that “they should not be excluded, everybody can express their views, everybody has to be included in the political process; indeed, extremism results from exclusion”. This last point of view was applauded. Is Europe conspicuously absent? Mr Gebril deplored the fact that European influence was diminishing. He argued that “North Africa can be a useful element for Europe”. In this view, MM. Chebbib and Gebril addressed an appeal to the European countries. They consider them as key political and economic partners for the Maghreb to become a central actor on the international stage. If the audience, during the debate, showed its scepticism about the “positive conditionality” and economic market imposed by Brussels, the Chief of the Tunisian opposition, Mr. Chebbib, stated: “it is the natural framework”. According to him, “we can improve the partnership but not question its essence”. Moreover, the panel evoked the importance of national dialogue as well as regional coordination to achieve these ambitions. All eyes are now turned on the democratic and economic future of Tunisia and Libya, but also on Syria where the revolution is still in process. This entry was posted on 11/04/2013 by ISIS Europe in Conferences, Lorène-Fara Andrianarijaona and tagged Arab Spring, Democratisation, Development, EU, European Neighborhood, Middle East, Syria.